Riyadh- Saudi stock markets witnessed a busy week as notable trade activity took place by foreign, regional and local investors. 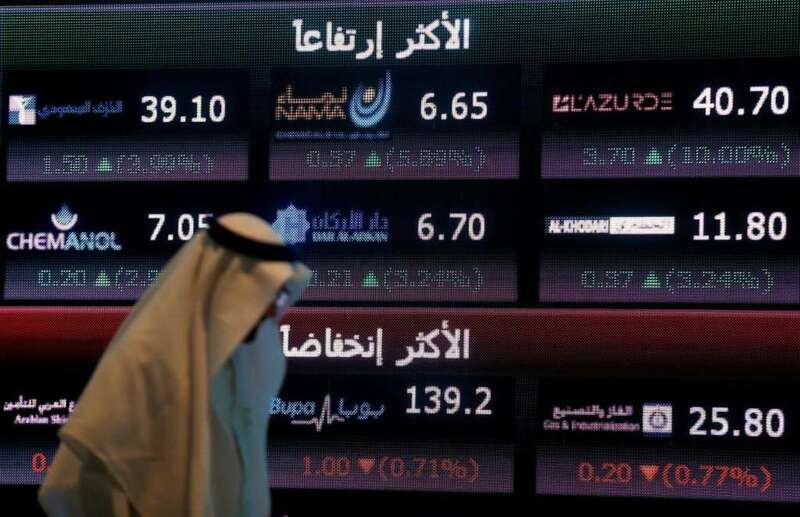 Tadawul, the Kingdom’s official and sole stock exchange market, revealed on Sunday last week’s dealings amounted to an approximate SR 212.2 million ($56.5 million). Gulf investors pumped nearly SR137 million ($36.5 million) in deals held in the Saudi stock market last week, while Saudi institutions netted about SR1.2 billion ($320 million). These figures reflect confidence foreign investors, GCC and institutional capital holders enjoy in the ability of the Saudi economy to grow during in 2017 especially that Saudi-listed companies proved successful in achieving net profit growths for the first half of this year. Reassuringly, the Kingdom managed to reduce the budget deficit by 51 percent in the first half of 2017 compared to the first half of 2016. Since announcing new steps towards opening up investment opportunities to foreign capital and facilitating investment for local capital, Saudi Arabia is now known to be one of the world’s most attractive countries for investment. Recently signed memorandums of understanding with China also increased the appetite of foreign investors. Global financial markets are considered to reflect investment feasibility of any economy in the world—and figures show that listed Saudi companies succeeded in boosting their operating profits during the first half of this year by 10 percent despite an ongoing decline in oil prices. Saudi Arabia’s massive economic reforms are an important factor in improving the country’s investment climate in the face of foreign capital and is a positive step announced by MSCI, which plans to start monitoring the Saudi stock market. Reforms will strengthen the position of the Saudi capital market among the rest of world markets. Saudi Arabia did not only cut down red tape measures on foreign investment in the stock market. It has also eased restrictions on investment across various sectors. This will contribute to technology transfer, industrialization, increased employment opportunities and increased private sector participation in Gross Domestic Product (GDP) output.